Step up as a Zoolympix Rescue Ranger this June Holidays and learn how to help our animal friends. Back for the ninth year, this wildly popular Zoolympix event is highly recommended for children between 5 and 12 years old. Zoolympix will feature six exhibits in the zoo that will double up as interactive game stations. This series of challenging “rescue missions” will test young rangers’ memory, accuracy and agility. 1. On Thin Ice (venue: Frozen Tundra) — Climate change is causing the Arctic ice to melt! Help a polar bear find its lunch by hopping between fragmented “ice” pieces to pick up as many seals as possible within 30 seconds. 2. 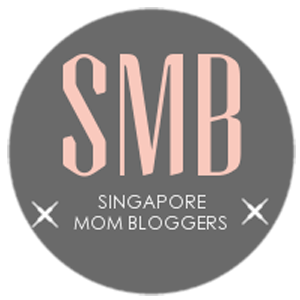 Seed Seekers (venue: Tropical Crops at Pavilion opposite Cat Country) — In a world where deforestation is rampant, Rescue Rangers must collect and save the seeds of tropical plants which could be in danger of extinction. Track down plants in the Tropical Crops exhibit and “collect” their seeds by making a shading from the embossed plaques next to them. 3. Forest Storeys(venue: Fragile Forest) — The first step in wildlife conservation is to understand it better. Test your memory and learn more about animals and their rainforest homes by placing the creatures in the correct layer of their rainforest habitat in 30 seconds. 4. 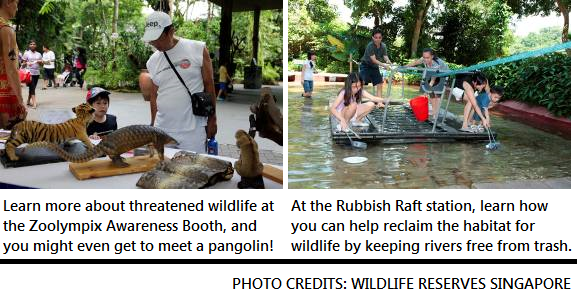 Rubbish Raft (venue: Rainforest Kidzworld -Tugboat area) — Make a difference for the many fish, birds, frogs, and other wildlife friends by helping to keep rivers clean. In 30 seconds, scoop out floating rubbish in the water while standing on a raft and do your bit to reclaim the habitat for these river dwellers! 5. Penguin Eggs-pedition (venue: African penguin exhibit) — African penguins have nowhere to lay their eggs, now that the guano they use as nesting material has been harvested for fertiliser! In 30 seconds, sort penguins’ eggs into colour-coded “igloos” that ingenious scientists have provided as shelter for the eggs. 6. Stop Those Smugglers! (venue: Sun Bear exhibit) — The smallest bear in the world needs to be saved from poachers! Stop sun bear smuggling by ringing in the pesky poachers. Toss rings over as many cone ‘smugglers’ as possible in 30 seconds. 1) Learn entertaining and educational nuggets of historical facts about the zoo in celebration of its 40th anniversary this year. Zoolympix Rescue Rangers will learn little-known trivia about the zoo’s landmark moments since its opening in 1973. Third Prize — a 3-in-1 Park Hopper and Jungle Breakfast package for two adults and two children worth over $300. All winners will also win a year’s subscription to Wildlife Wonders, Wildlife Reserves Singapore’s in-house magazine.